All candidates must have a clean criminal background, valid driver's license, have the ability to read, write, and understand directives, and have at least a HS Diploma or GED equivalent for job titles. Excellent interpersonal skills, ability to multi-task, crisis intervention skills, ability to maintain healthy & appropriate treatment boundaries, utilization of computer for documentation and communication, physically capable of restraining violent youth, ability to be a proactive team player, and able to represent the agency well. Minimum High School graduate or have a GED equivalent, prefer a four-year degree but not required. **NEW** Sleep Position for Residential Counselors. Responsibilities include: Overnight care and supervision of youth with emotional and behavioral challenges in a residential treatment setting. Excellent interpersonal skills, ability to multi-task, crisis intervention skills, ability to maintain healthy & appropriate treatment boundaries, utilization of computer for documentation and communication needs. Offer coordination and oversight of ongoing assessments activities and services. Initial development, monitoring, & implementation of person centered plans. Provide case management functions of linking and referring of services. Have at minimum a four-year degree in Human Services or equivalent. Have a minimum of two years experience in child, or adult services. Excellent interpersonal skills, ability to multi-task, crisis intervention skills, ability to maintain healthy & appropriate treatment boundaries, utilization of computer for documentation and communication needs. Provide various skill building activities, training of caregivers, socialization skills, adaptation skills, symptom monitoring and management skills, and education in substance abuse, therapeutic monitoring, and behavior and anger management techniques. Minimum High School graduate or have a GED equivalent, prefer a four-year degree but not required. Have at least a year of experience in the human services or related field. Coordinates/provides administrative and secretarial support to faculty and administrative staff . Also provide services such as purchasing, payroll, records control, special projects, office work flow, appointments, correspondence, manuscripts, grant proposals, and data compilation, interprets operating policies; exercises independent judgment in resolution of administrative problems. Participates in the development of budgets. Maintains calendar, schedules appointments and meeting rooms. May perform duties of a sensitive and confidential nature. Minimum High School graduate or have a GED equivalent, prefer a four-year degree but not required. Outpatient services include but are not limited to; screening, assessment, intake, individual counseling, group and family counseling, crisis intervention, case management, documentation, referral and discharge planning. This counselor also provides outreach, consultation, education and prevention services to persons and communities as assigned by the Team Leader. Provides information, education and support to family members and collaterals with the written informed consent of the client; Collaborates with other professional staff for metal health assessment and treatment for clients with dual diagnosis; Develops and implements, in collaboration with client(s), an individualized person centered treatment plan base on the assessment including: patients problems, specific and measurable short and long range goals and specify the treatment intervention; Performs voluntary and court ordered assessments, including related diagnostics and testing, for clients needing substance abuse treatment and other services; Provide on-call after hours consultation on a rotating schedule. 80% of services must be face-to-face with consumer & 75% of services contacts must be in the community in a non-office based or non-facility based setting. Must be a CCS, CCAS, or CSAC with at least a 4-year degree but prefer a Master degree & two year experience in human services. 80% of services must be face-to-face with consumer & 75% of services contacts must be in the community in a non-office based or non-facility based setting. Minimum a 4-year degree from an accredited nursing school but prefer a Master degree & two year experience in human services. Outpatient services include but are not limited to; screening, assessment, intake, individual counseling, group and family counseling, crisis intervention, case management, documentation, referral and discharge planning. Provides information, education and support to family members and collaterals with the written informed consent of the client; Collaborates with other professional staff for mental health assessment and treatment for clients with dual diagnosis; Develops and implements, in collaboration with client(s), an individualized person centered treatment plan base on the assessment including: patients problems, specific and measurable short and long range goals and specify the treatment intervention; 80% of services must be face-to-face with consumer & 75% of services contacts must be in the community in a non-office based or non-facility based setting. Minimum a 4-year degree from an accredited school of social services or counseling but prefer a Master degree & two year experience in human services. Provide staff level medical service in the field of psychiatry to patients with mental illness, developmental disabilities, substance abuse, etc., Work requires independent professional responsibility for treating assigned cases as is performed with autonomy. Have knowledge of theory, principles, and practices of general, prevention medicine and of the techniques involved; recent developments in medicine, and the practice of psychiatry. Encompass skills in treating and diagnosing a variety of diseases and practice of psychiatry. Uphold the ability to compile clear and concise notes for patients charts. Have the ability to establish and maintain effective working relationships with patients, families, staff and the public. 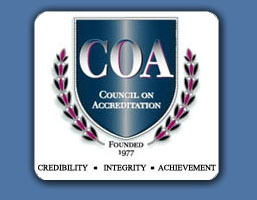 Provides information, education and support to family members and collaterals with the written informed consent of the client; Collaborates with other professional staff for mental health assessment and treatment for clients with dual diagnosis; Performs court ordered assessments, including related diagnostics and testing, for clients needing substance abuse treatment and other services; Provide on-call after hours consultation on a rotating schedule. 80% of services must be face-to-face with consumer & 75% of services contacts must be in the community in a non-office based or non-facility based setting. Must be a graduate from an accredited school of medicine, and must have completed your residency or specialty training and must have one year of experience in the practice of medicine; or graduate from an accredited school of medicine and two years of experience in the practice of medicine. This individual is or has been a recipient of mental health services. Because of life experience with mental illness and mental health services, the Certified Peer Support Specialist provides expertise that professional training cannot replicate. Certified Peer Support Specialists are fully integrated team members who provide highly individualized services in the community and promote individual self-determination and decision-making. 80% of services must be face-to-face with consumer & 75% of service contacts must be in the community in a non-office based or non-facility based setting. Applicant must be a current or former consumer of mental health services or have a mental illness.